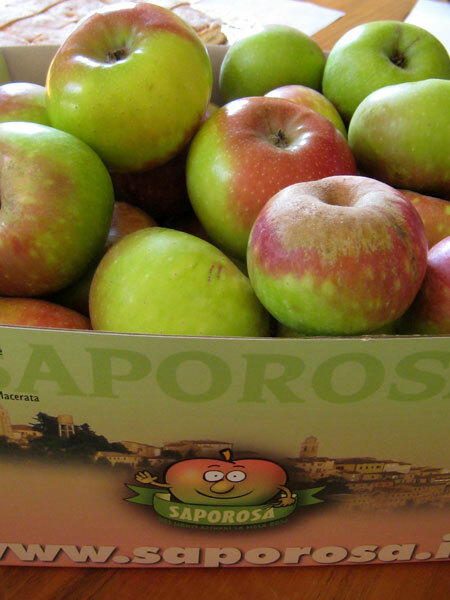 The "pink apple" is a typical apple cultivar grown in the central Apennines, in the province of Ascoli Piceno. 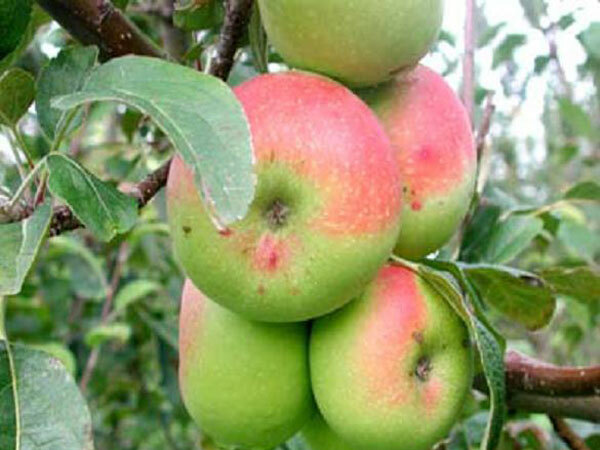 for some years, now the pink apples from the Sibillini Mountains are grown again. 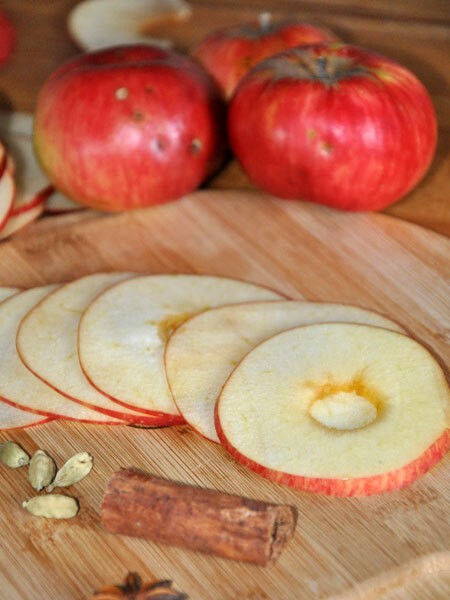 The work of recovery of pink apples began 13 years ago, with targeted financial investment that led to the creation of new and rational planting systems. On the basis of this important work, in 2000 the "Slow Food Presidium of Pink Apples from the Sibillini Mountains" was born, also supported by the Department of Agriculture of the Marche Region. 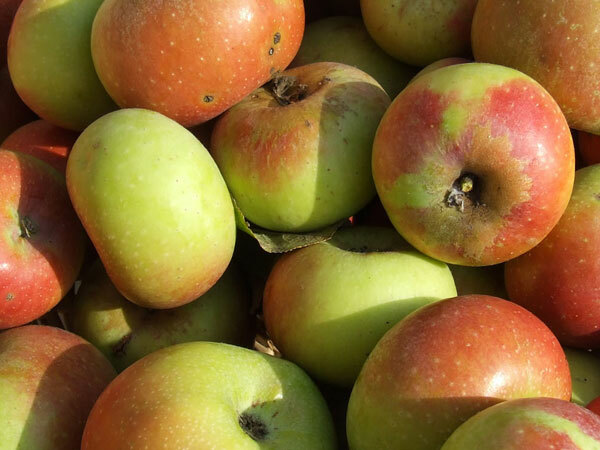 The pink apple and in particular that grown in the Sibillini Mountains is one of the traditional products of the Marche Region, in implementation of Article 8 of Legislative Decree n.173/98 and the Minister of Agriculture and Forestry Law n.350/99. The objective of this work is to promote and raise awareness toward a unique product which can not be reproduced, indissolubly linked to a particular territory. The farmers are the main actor since they have recovered this valuable germplasm from the recent past and cultivated it, and can now have advantage from the more modern growing techniques, the protection offered by the Presidium, the know-how on the cultivation of this particular apple cultivar. The main beneficiaries are the producers and consumers. The first because they have the ability to produce a good with a high added value, the latter can count on high-quality, traceable, food. This is due to the presence of the Slow Food Presidium and control of activities by the association of consumers. Do not overlook also the benefits that the entire territory can get, thanks to the publicity that this product can do around the world. At last restaurants/agriturisms will also benefit from a better promotion of the territory through the Presidium. The achievement of market share with better incomes for farms. In addition, the involvement of farms and restaurants in the area, which can use the pink apple as the main ingredient for their menu. The product can also move to the processing industry, with the production of jams and pink apple juice; also, the principle that inspired the recovery and development of the pink apple, can be extended to other agro-food products (livestock, horticulture, fruits, dairy etc..). Slow Food is an international association which may be useful for the know-how in terms of production and protection of tipical agriculture products.